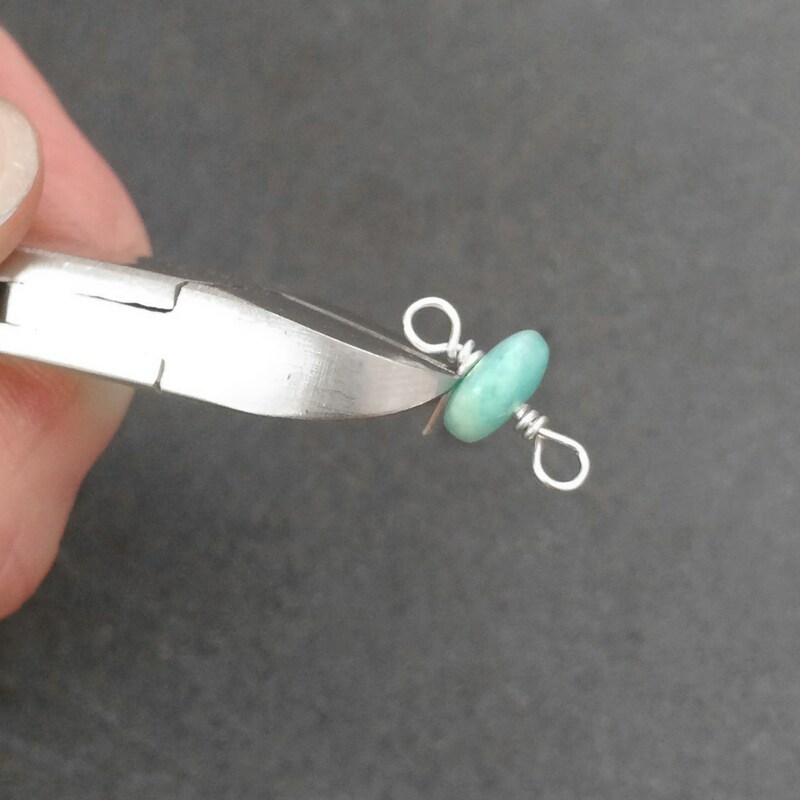 Turn your favourite gemstone beads into a beautiful chain! This page provides step by step instructions on how to wire wrap individual beads to form a delicate beaded chain. This is a great technique to learn to enable many design options, it also helps your beads to go further. 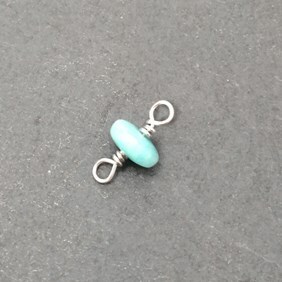 Tip: You can also try wrapping more than one bead together on the wire to create pretty connector links. 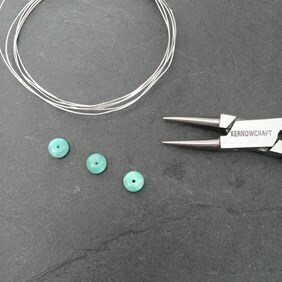 To start with, line up your beads in the order you want them to be on the chain, this gives you a good idea of how they will look when strung. With side cutters cut your chosen sterling silver wire into equal lengths (If you're using 0.5mm wire and a bead with a 5mm width, approximately 5cm per length should do. 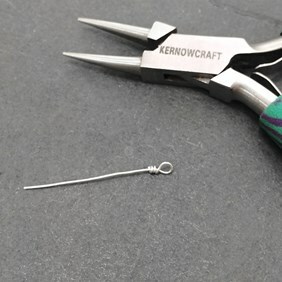 Bear in mind different wire gauges and bead sizes will require different lengths so it's worth trying a few first to see which will leave you with least wastage). Take the first piece of wire and form a loop one end using the round nose pliers, leaving a short length one side of the loop. 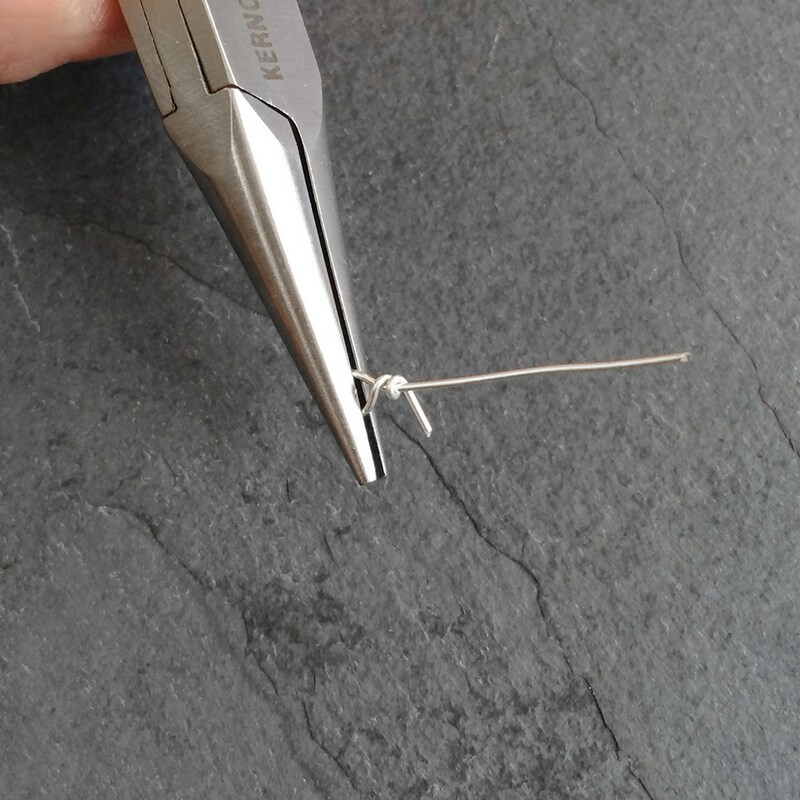 Take the shorter length of wire and wrap it around the longer length to create a tight neat coil, 2 or 3 twists should be enough. 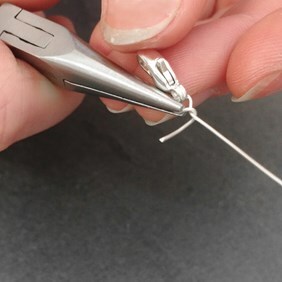 You can use your pliers to help hold the wire whist wrapping. 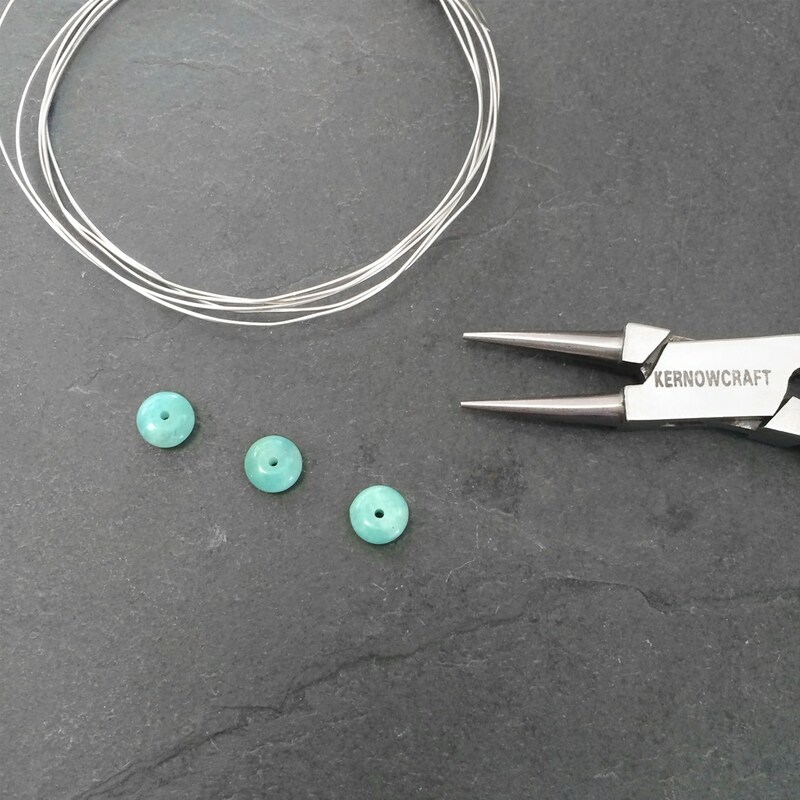 Tip: Having a bit more wire than you need will make wrapping easier. 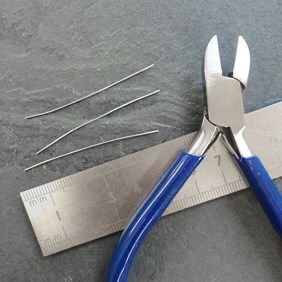 Cut off any excess wire as close to the coil as possible then use the snipe nose pliers to make sure it's tucked in and there are no sharp points. You should now have what looks like an eye pin with a loop at one end that has been wrapped closed. 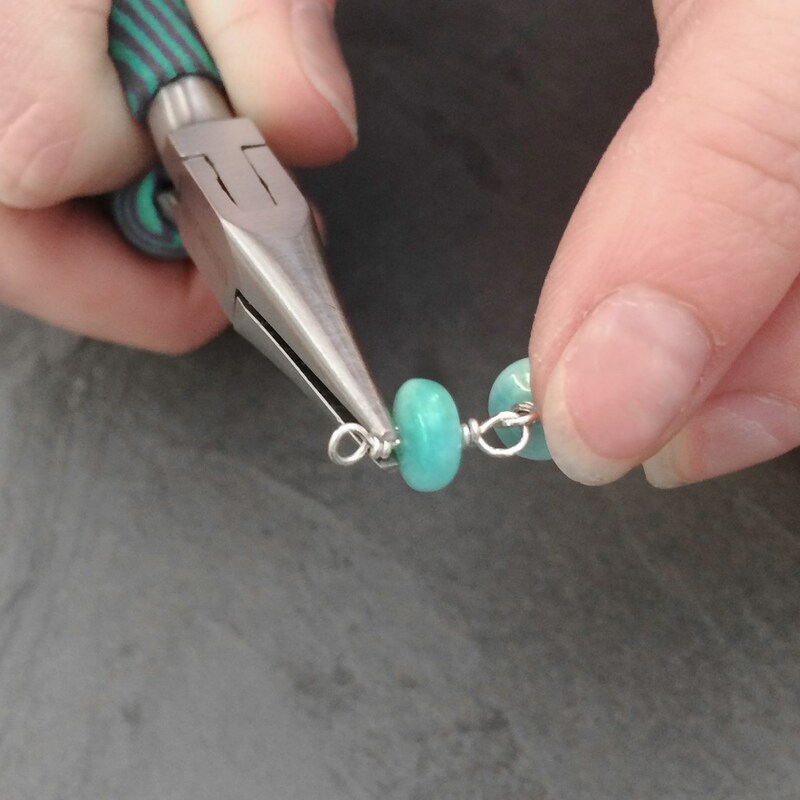 Thread the first bead onto the open end of the wire then place your round nose pliers after the bead and bend the wire to a right angle. 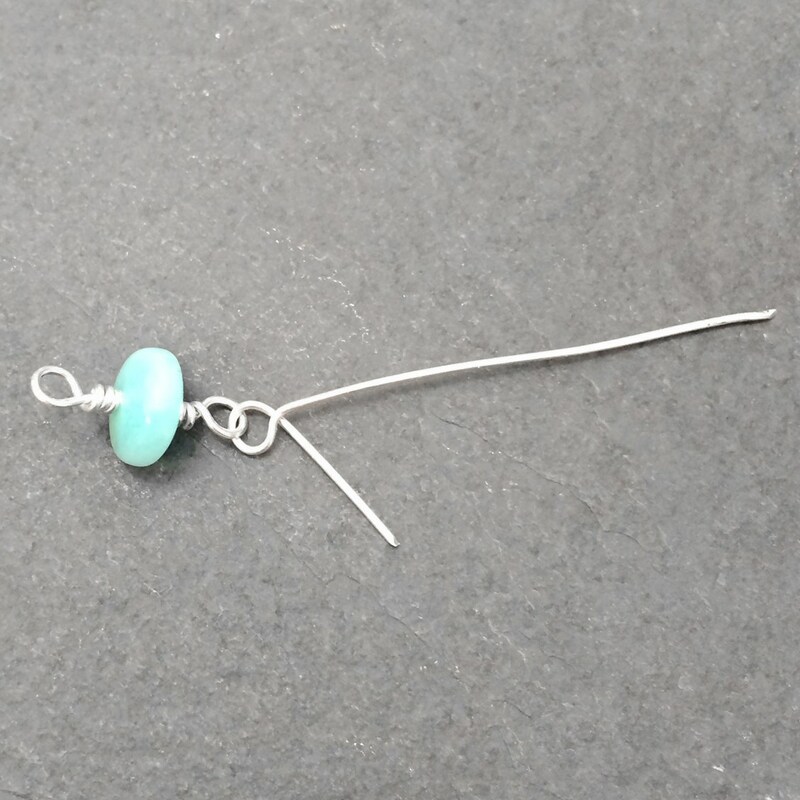 Form another loop and repeat the process of tightly wrapping the wire back down the pin towards the bead. 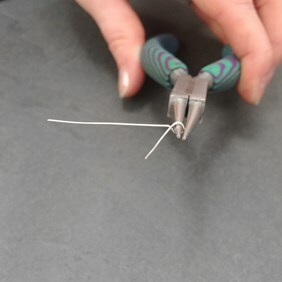 Again, cut off any excess wire as close to the coil as possible then use the snipe nose pliers to make sure it's tucked in and there are no sharp points. This should leave you with two loops either side of the bead and wire coils between the loop and the bead, the bead is now secure on the wire. 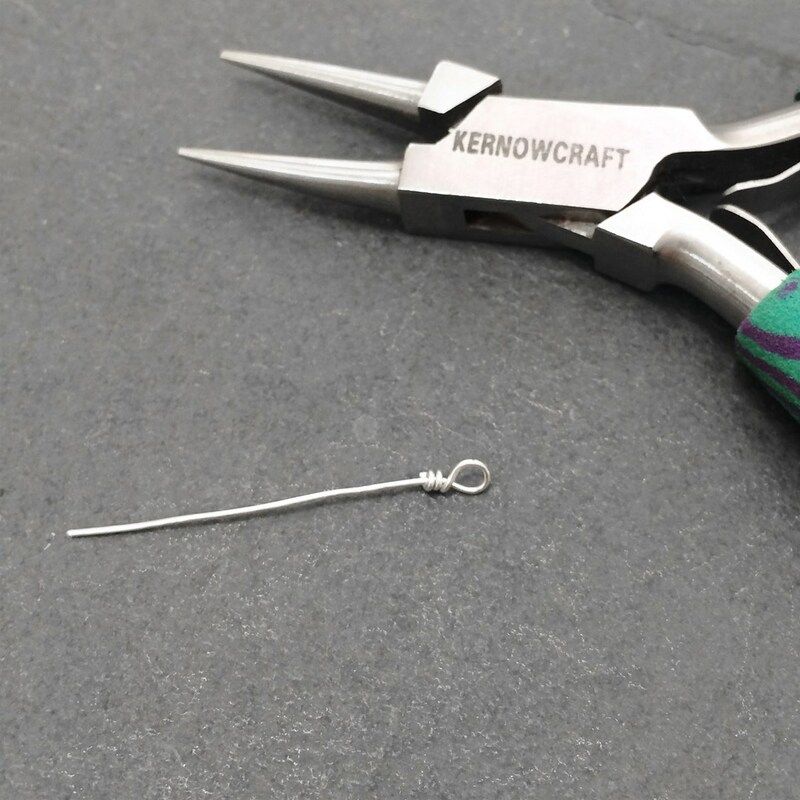 Now you need to use this wrapping technique to form your chain. 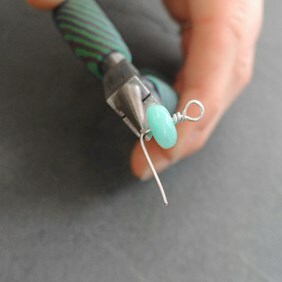 Start again by using one of the lengths of wire and creating a loop one end as before - this time threading the end loop of the previous bead onto the loop before wrapping it closed. Continue to repeat these steps until you reach your desired length of chain. If you need to add a clasp to your chain you can wrap it straight onto the chain in the same way you attached a new link. Alternatively you can use jump or split rings to attach it. Your bead chain is now complete. You can create this look with any fully drilled bead of your choice! 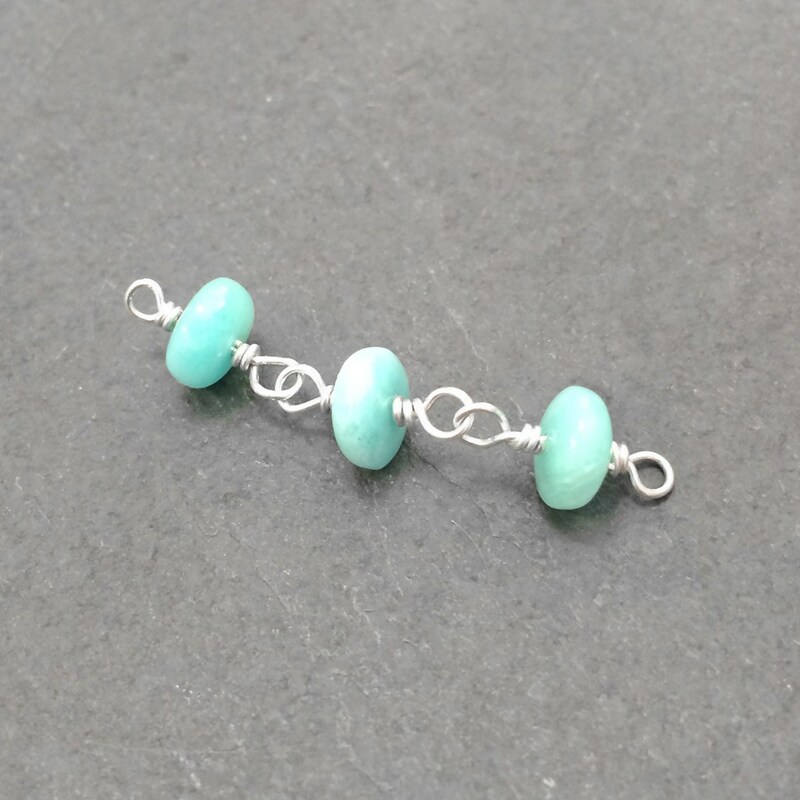 To browse all of our gemstone beads click here.